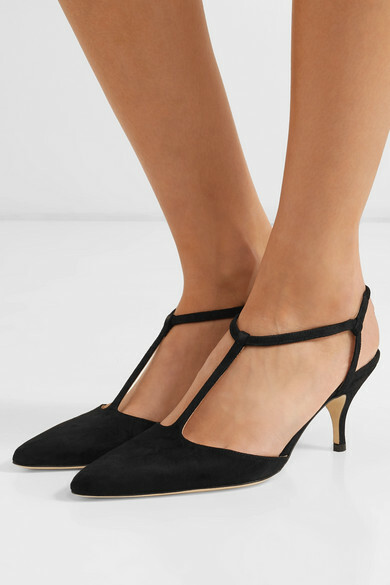 Magda Butrym's 'Macedonia' pumps have been made in Italy from supple black suede. 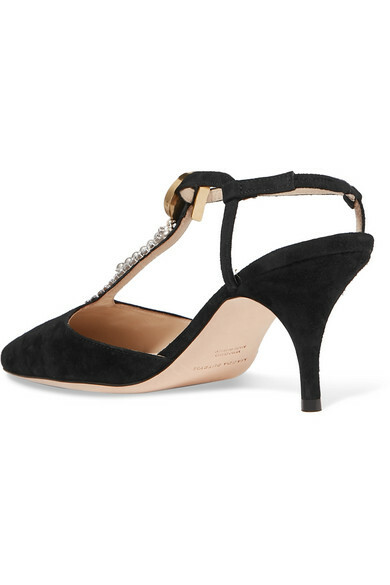 They have vintage-inspired T-bar straps and are set on comfy 65mm kitten heels. 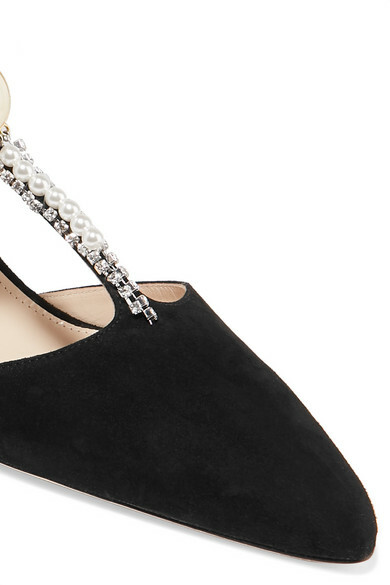 The removable faux pearl and crystal clips make them feel extra special - clip them on to add a little shimmer in the evening. Shown here with: Attico Dress, Bienen-Davis Shoulder bag, Isabel Marant Earrings.